When it’s not too hot out, Maryland can be a very fun state to enjoy the great outdoors. With beaches, mountains, lakes, trails, parks, historic cities and a beautiful bay, it can be hard to choose exactly what to do. 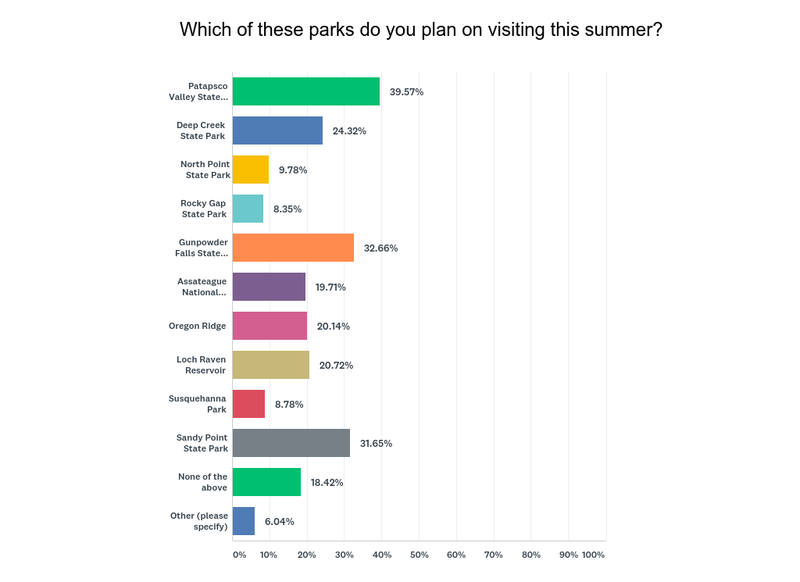 We asked our panel what their favorite outdoor activities were in the summer. The Chesapeake Bay, the Ocean and Deep Creek Lake are all terrific places to take a dip. 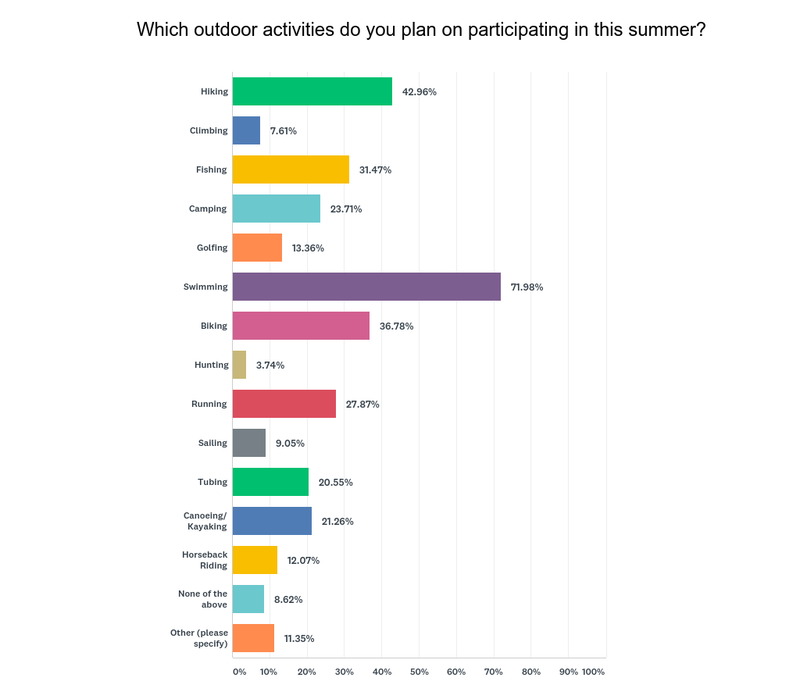 Our panel’s most popular outdoor activity was swimming. This is something that Marylanders do quite well, just ask that Phelps guy. Going to the beach beats out lake visits by about 62%. Parks can be an inexpensive and adventurous way to make lifelong memories. Fortunately, Maryland has a surplus of beautiful and well-maintained state parks. Here are some of the favorites among our panelists. People spend so much time and effort planning their trip to the beach, but what do they do when they actually get there? Our panel seems to enjoy a healthy mix of athletic and relaxing activities. We all know what too much time in the sun can do to our skin. Nobody likes a vacation spent indoors or cut short all together due to sun burn. Our panel seems to like a middle ground by choosing SPF 30 as the most popular. To request a summary of the survey data collected for this article, contact molly@obaltimore.com. If you would like to learn more about Observation Baltimore and how we can help with your next project here in Baltimore, contact us today. Visit www.observationbaltimore.com or call 410-332-0400 and ask for Karly. This entry was posted on Tuesday, July 3rd, 2018 at 11:46 am. Both comments and pings are currently closed.